This humble establishment has both indoor and outdoor seating but ordering is done in the separate unit just next door. 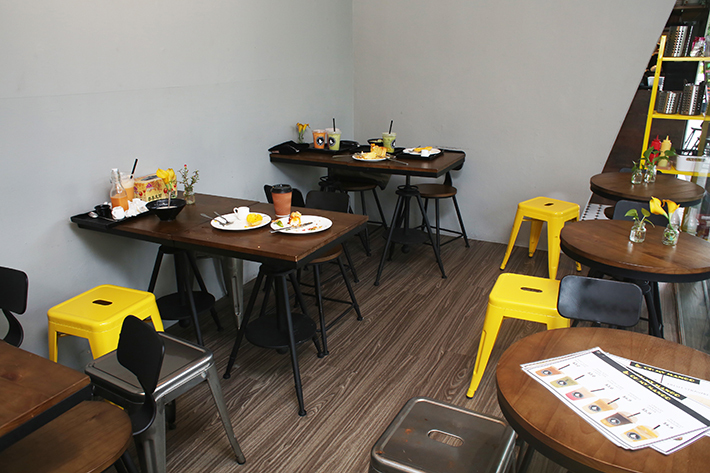 Here, the overall appearance is kept minimalistic with plenty of hipsterish decors to give it a cafe-like vibe. 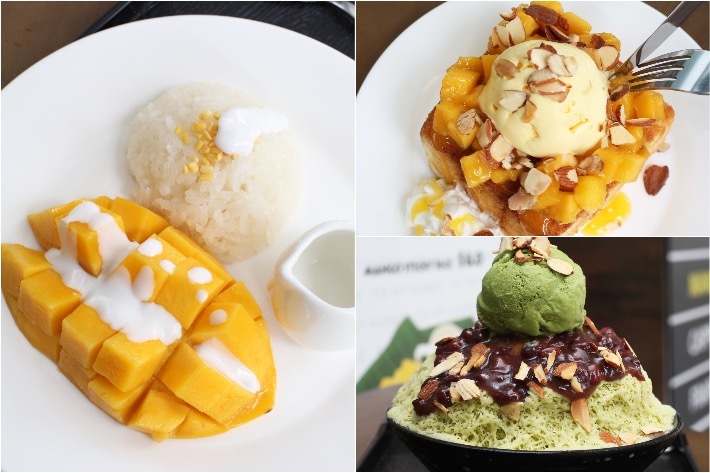 Their menu features more than 40 items ranging from sweet bingsu, a wide array of Shibuya toast options and a pretty extensive range of beverage options—from the iconic Thai milk tea to some quirky innovations. 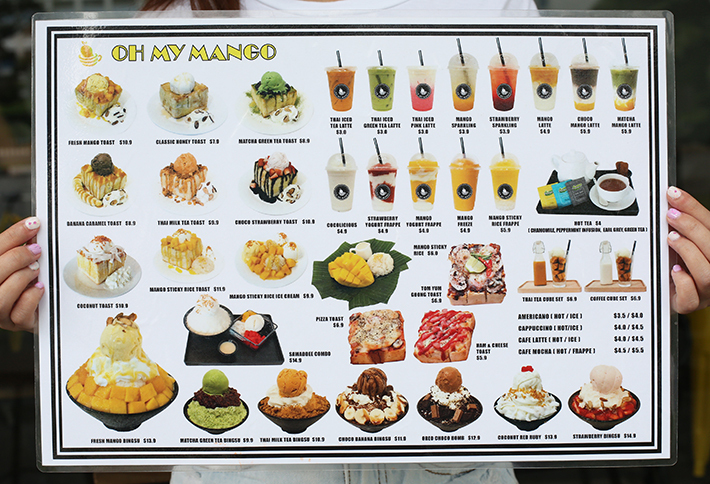 Going by the name of OH MY MANGO, it would be a waste if we did not try at least one mango dessert, and boy were we impressed by the Fresh Mango Toast (S$10.90). 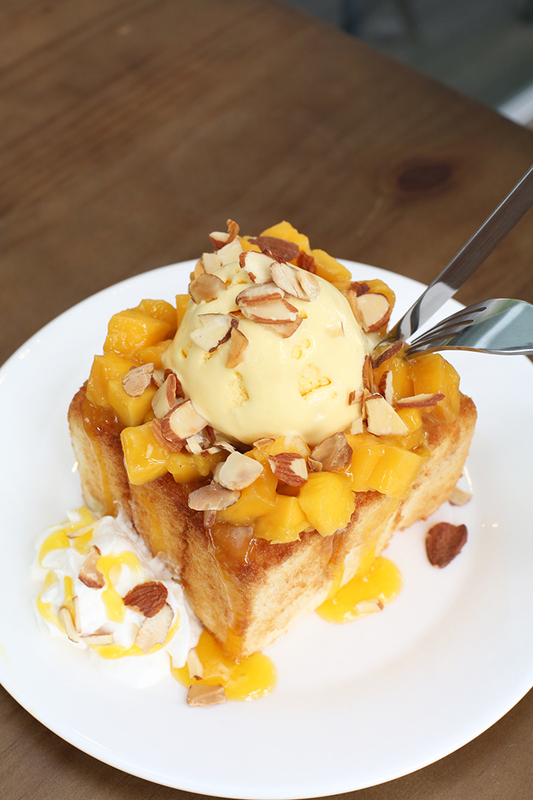 Comprising a scoop of mango-flavoured ice cream, cubes of deliciously sweet mango and a sprinkling of crushed almonds atop a thick and crispy slab of buttery toast, this to us gives the typical ice-cream-and-waffle combination a serious run for its money. 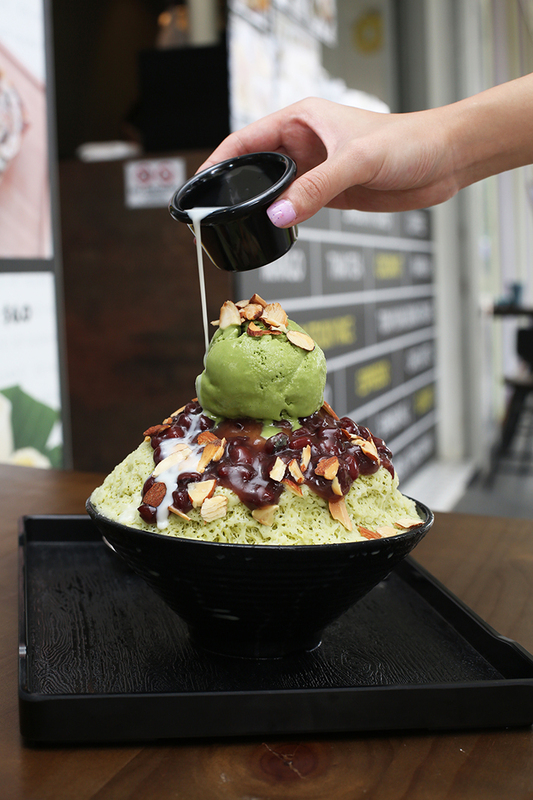 For the matcha fans, the Matcha Green Tea Bingsu (S$9.90) works up a real treat especially with the addition of a sticky red bean purée and crushed almonds that not only provides a nice texture to the bingsu but also bolsters the bitter green tea flavour with a hint of sweetness. 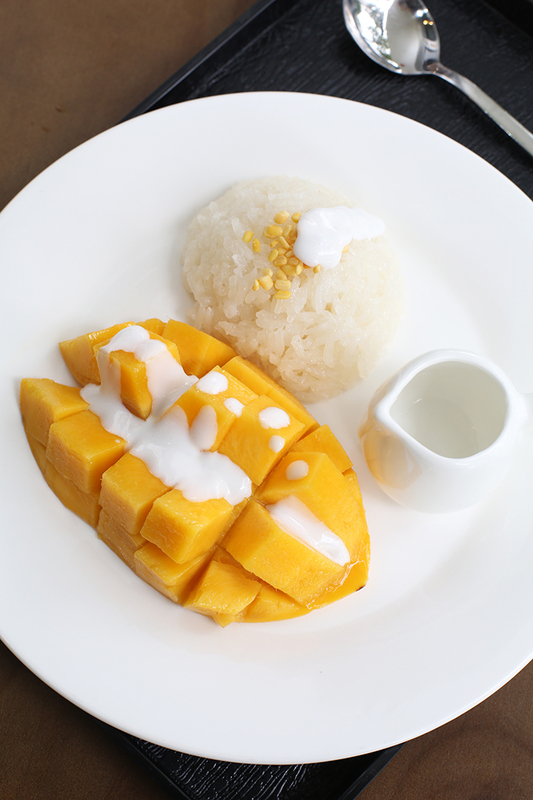 Anyone who loves Thai food will surely appreciate their Mango Sticky Rice (S$6). Simply put, this popular Thai dessert comes with no gimmicks attached. It comprises sweet sticky rice, fresh mangoes and a salted coconut sauce that you can pour over everything. We have tried numerous variations all over, but the qualities that we believe determine a solid mango sticky rice dessert is the consistency of the coconut sauce and the freshness of the mango—which the good folks here nail down beautifully. For more recommendations, read our guide to the best cafes in the West of Singapore.